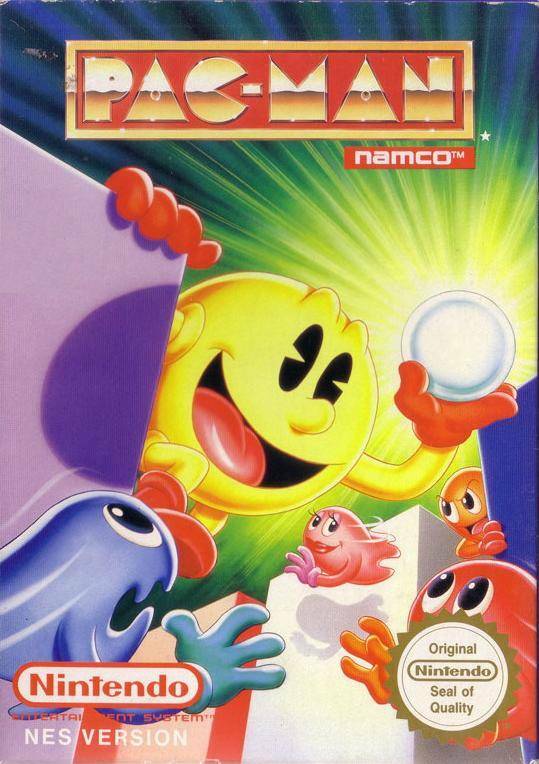 You don't need me (or anyone else) to tell you what Pac Man is about, right? Because you have played it, right? ..."no"? What do you mean "no"? Yes, you did. Pac Man is a legend amongst videogames. 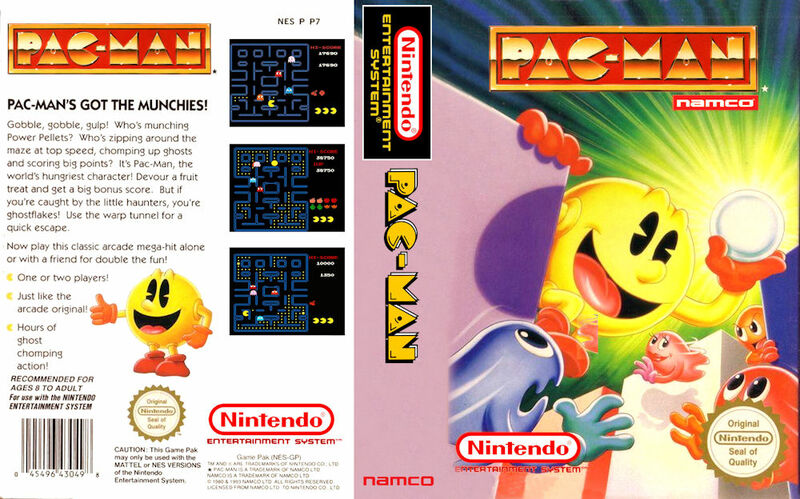 Before Mario, Pac Man was the biggest thing around. 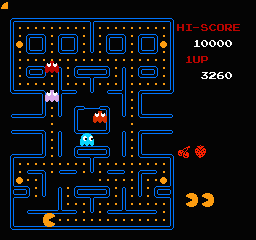 But just to remind you, Pac Man is about driving a glutton through a maze, trying to eat all the pellets that are in there while you run away from ghosts. 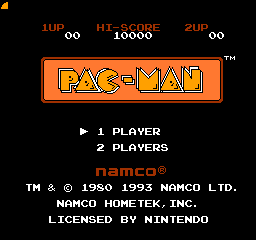 Pac Man has only one problem: he doesn't have a theme song. Let's fix that. NA NA NA NA NA NA NA NA PAC MAAAAAAAAN! NA NA NA NA NA NA NA NA PAC MAAAAAAAAN! PAC MAAAAN, PAC MAAAAAAN! I spend one hour playing this game, this weekend, today in 2013, and is the most fun thing i have doing in years. I can´t say the same of the actual generation games, full of breathtaking graphics and stuff. The basics rules. Now you can add videos, screenshots, or other images (cover scans, disc scans, etc.) for Pac-Man (USA) (Namco) to Emuparadise. Do it now!